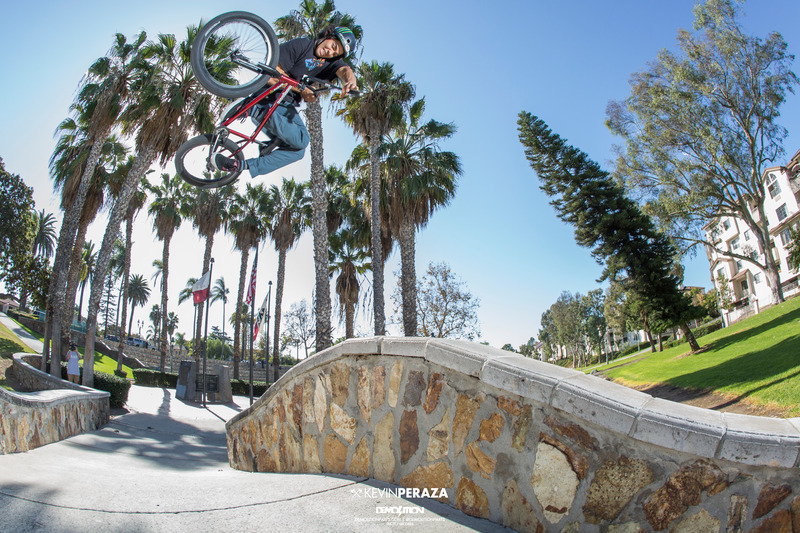 This has been a long time coming and nobody deserves the bump up more than Kevin Peraza. We’ve been a huge fan of Kevin since day one, with his riding, great personality and him being a huge Demolition supporter for years. Kevin could have rocked any other brands’ parts but has always supported Demolition and first started paying for them through his local shop. Every year we’ve seen Kevin kill it and due to our team being fairly big already, we had to chill on adding anyone new. This year, we had to show him the same support he’s shown us and finally made the decision to get him on the Demolition pro team. We already have big things in the works with Kevin and should see something later this year. We got with Kevin to say a few things about Demolition below too.